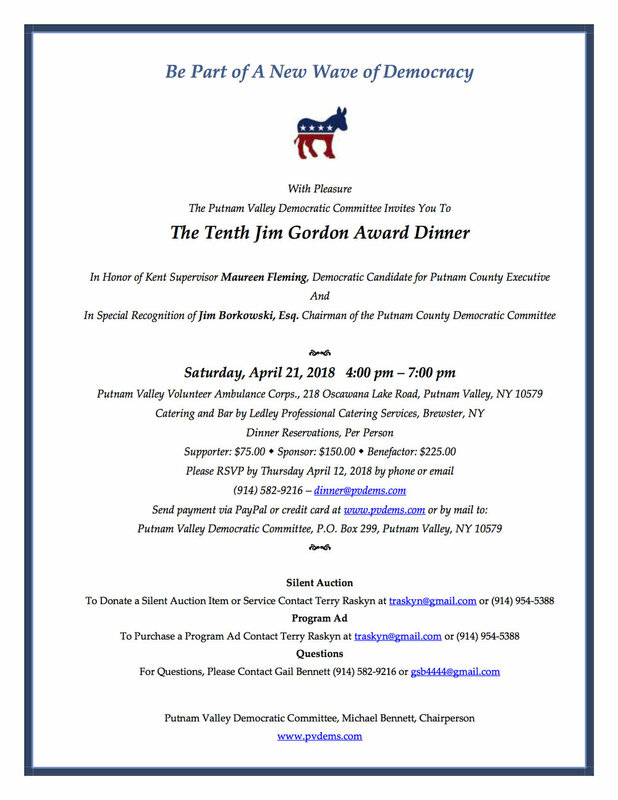 The Jim Gordon Dinner, in general, serves to remember the contributions of Putnam Valley Democrat and County Legislator Jim Gordon, while honoring the Putnam County Democrats who are working hard to promote positive and progressive ideology here in Putnam County today through their political leadership and community service. This year's honorees are Kent Supervisor & Candidate for Putnam County Supervisor Maureen Fleming and Chairman of the Putnam County Democratic Committee Jim Borkowski. For tickets and more information, visit www.PVDems.com.